I have to apologise in advance, you are going to be so bored of Budapest once I've finished with it. I've got about six posts lined up about it and I might even attempt to make a blog about my trip there with tips for people going there for the first time. I arrived back home from my holiday in Budapest on Thursday and I've been looking through the photos and wishing I was back there every day. 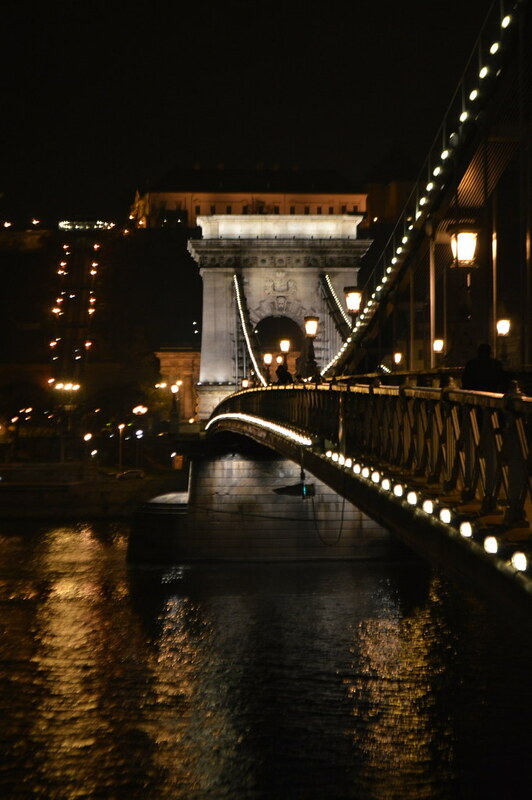 The photo above is of the gorgeous Széchenyi Chain Bridge which is a suspension bridge that spans the River Danube between Buda and Pest, the western and eastern sides of Budapest. Designed by the English engineer William Tierney Clark, it was the first permanent bridge across the Danube in Hungary, and was opened in 1849. The Parliament building (above) is just over 100 years old. 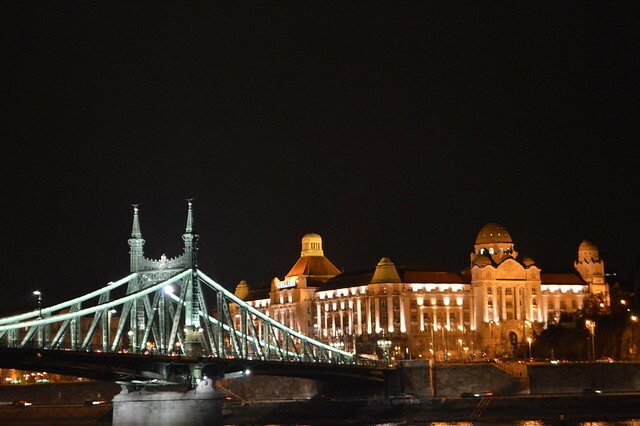 The building was inaugurated on the 1000th anniversary of Hungary in 1896, and fully completed in 1902. 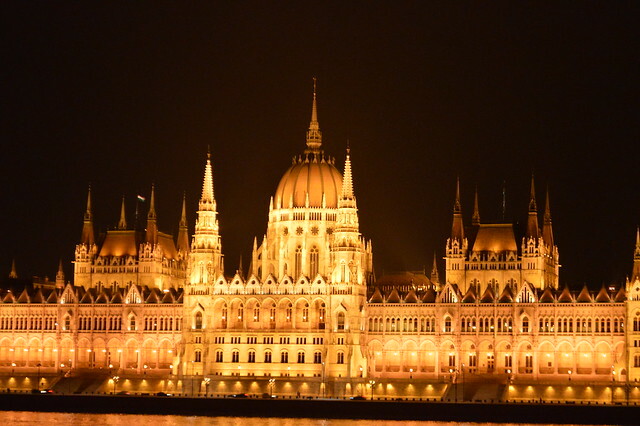 The Budapest Parliament building is the third largest Parliament building in the world. 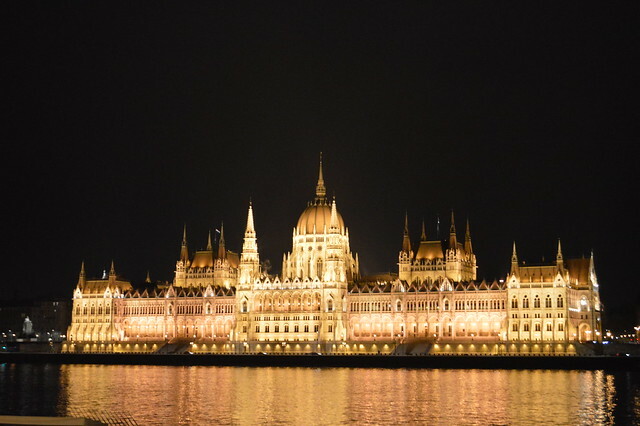 It was loosely based on our own Parliament building in Westminster and it is the same height as the St. Stephen's Basilica to show the equal importance of the state and church in Budapest. During the Communist era a large red star was added to the central tower above the dome of the building but was removed in 1990. There is a beautiful square on the other side of this building with a memorial to the 1956 uprising and some museums. Lots of these photos were taken on our last night in Budapest where we rode trams 2 and 19 down each side of the river taking in all the sights for the final time. The photo below is of the other end of Budapest and shows the Gellert area and the green bridge which links it to the Jewish Quarter. 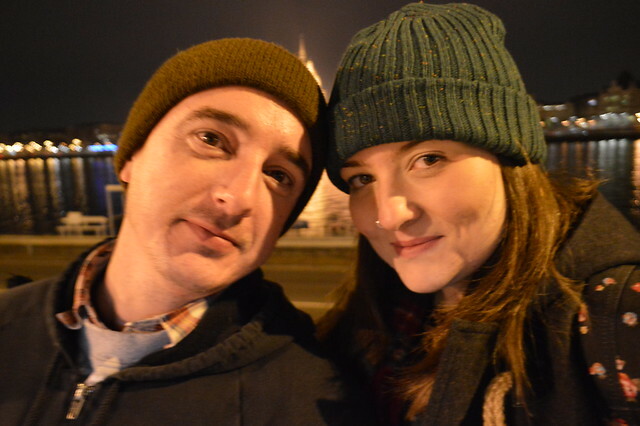 Martyn and I loved just wandering around the city (even though it was very cold) with a mug of mulled wine in our hands and making the most of the views from both sides of the river. 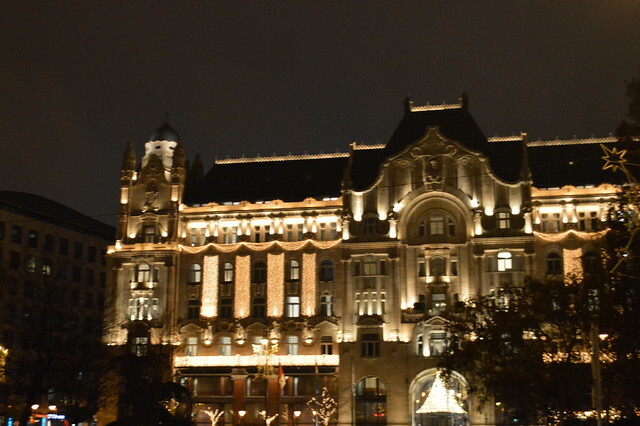 Make sure you keep an eye out for my posts about the Christmas markets in Budapest, Andrassy Avenue, where I stayed and some a round up of all the sights I saw coming over the next few weeks. If you want to take a look at more photos of my trip in the meantime head over to my flickr album (warning, lots of goofy photos of me and Martyn in there) where you will find 300+ photos. 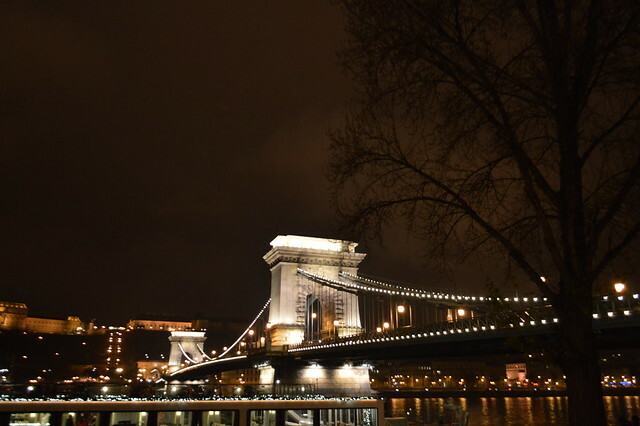 Have you ever been to Budapest or hoping to visit in the future? What stunning images, so magical. I agree with beautyqueen it certainly reminded me of Westminster too. I've never though about going to Budapest but it looks lovely. 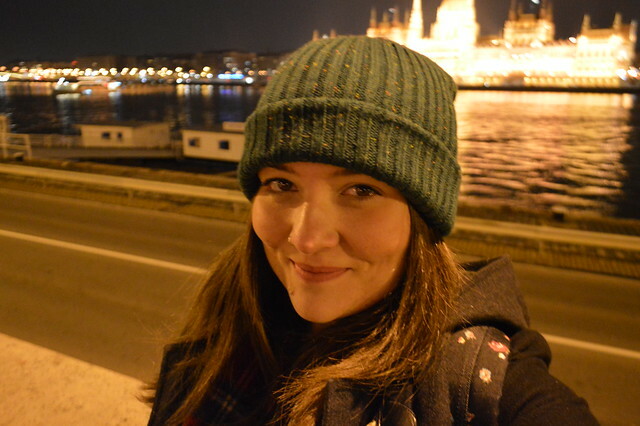 I loved Budapest so much, these photos make me want to go back! Did you make it out to the statue park? Was one of my fave parts of our trip. I didn't :( it was -2 and raining for 2 days we were there and got dark at 4 so we didn't want to venture too far out. Definitely going when I go back in the Summer though. Gem this looks so beautiful! Gorgeous pictures! I super envy you, in a good way of course! Their parliament looks like our Westminster with st Paul's cathedral dome plonked in the middle. And that bridge.... I so want to go. Ideally in F1 week next year. Oh my word this post made me tear up as my grandad's from Budapest (he's a Hungarian jew) so Budapest and Hungary and it's history always make me tear up especially since he's not here anymore. I love your pictures and post lovely. absolutely stunning photo of parliament! Those photos are all beautiful but you made parliament look absolutely magical. What a beautiful city - I would love to visit there some time, yes. Hi, you got some great shots! We are going to Budapest in January and I can't wait. What was the weather like when you went? Thinking I'm going to need very warm clothes!